Ten bottles of Ace of Spades and the best seats in the house at Miami's hottest club -- that's how Future and Nicki Minaj roll on a Sunday, or really ... early Monday morning. 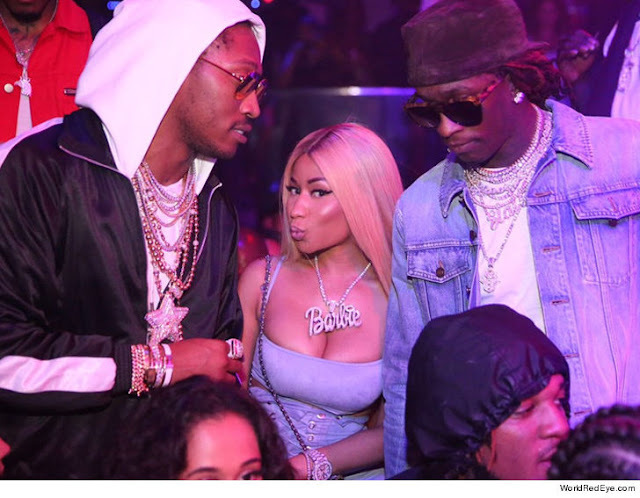 The superstars just dropped the video for their collab, "You Da Baddest," and partied at Miami's STORY Nightclub with a stacked VIP table ... Young Thug and Mack Maine were there too, on top of the $20k in bubbly. It was a late night. Nicki and Future came around the same time ... 2 AM and stayed till 4:30 AM. Future didn't drink a sip of alcohol, though we're sure it didn't go to waste. We're told Mack's been celebrating his birthday ... since Friday.